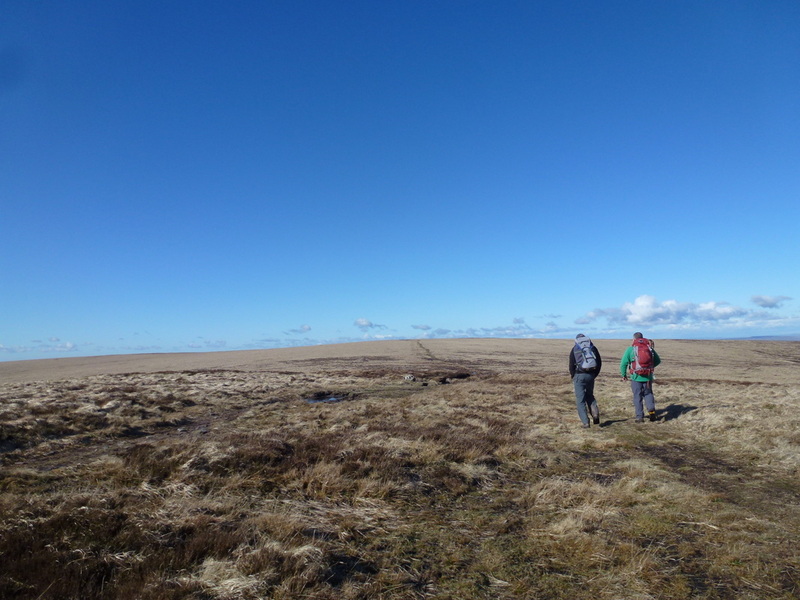 We awoke to a fantastic weather day and breakfasted safe in the knowledge that today would be one of excellent visibility. 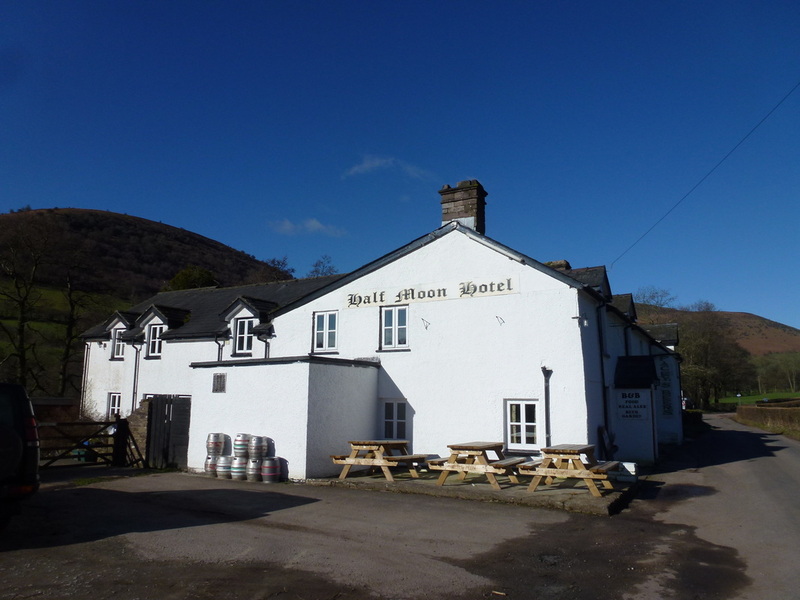 Our stay at The Half Moon was super - unpretentious, clean, good food & beer and great value for money. 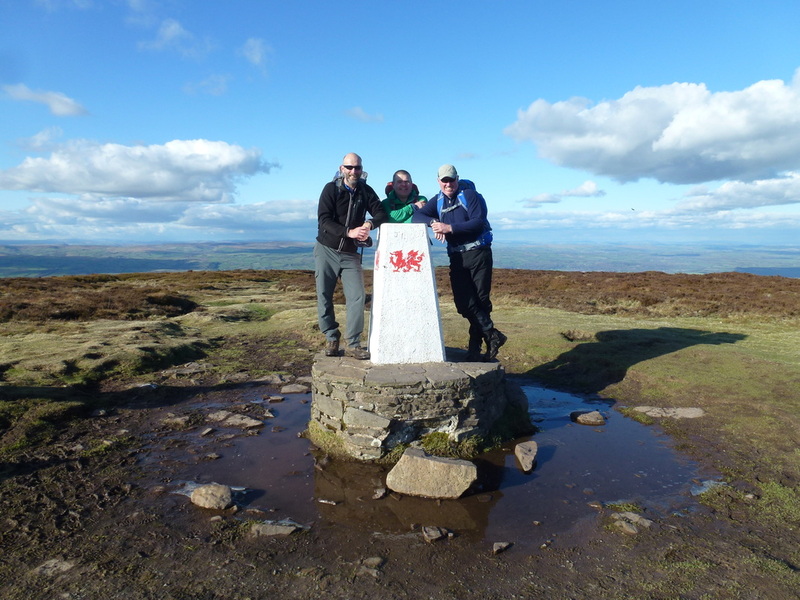 The owners, Lynda & Steve have not been at the pub long but have already done much to make visitors even more comfortable and welcome in their idyllic pub. 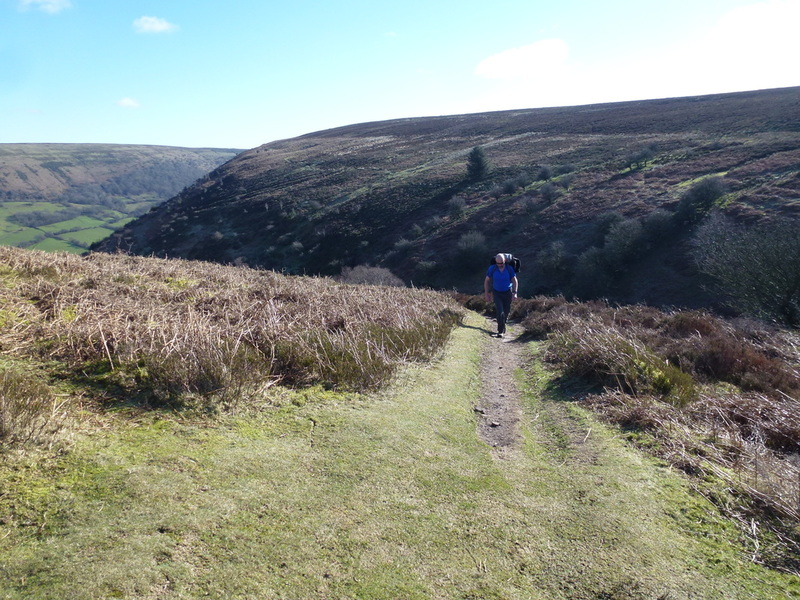 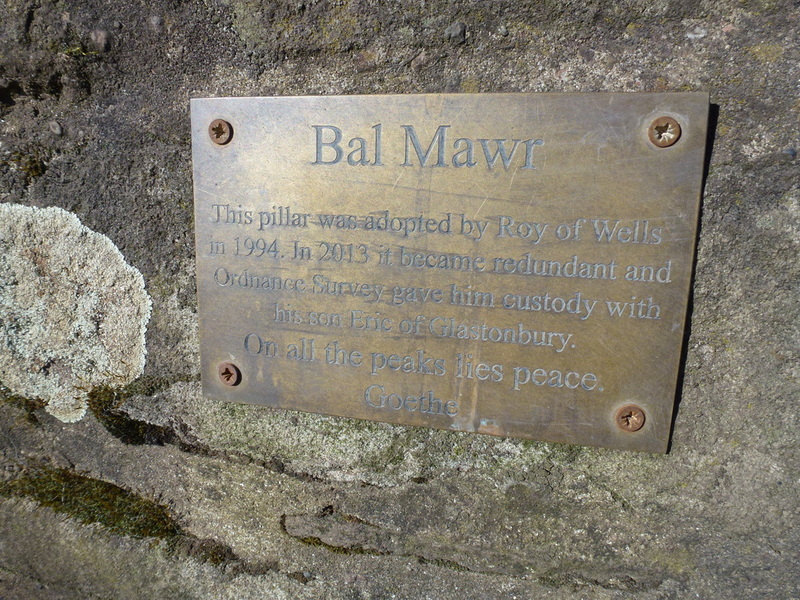 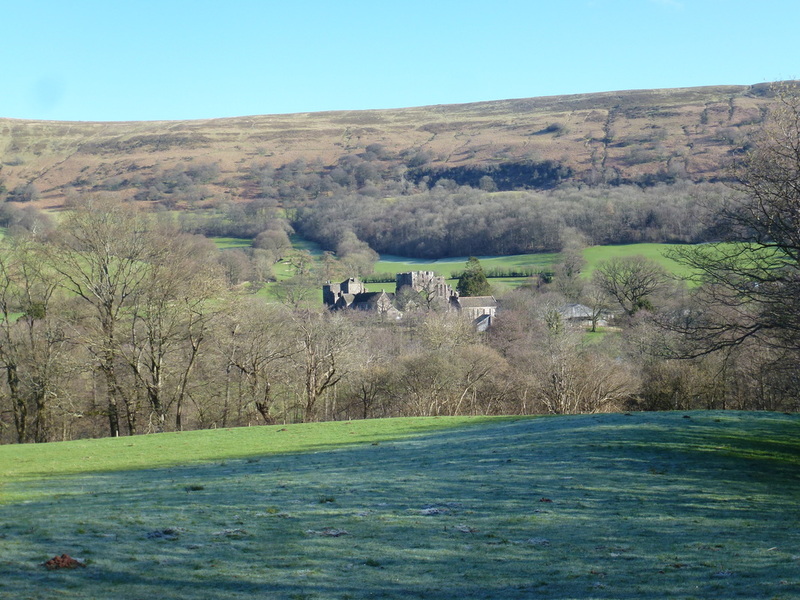 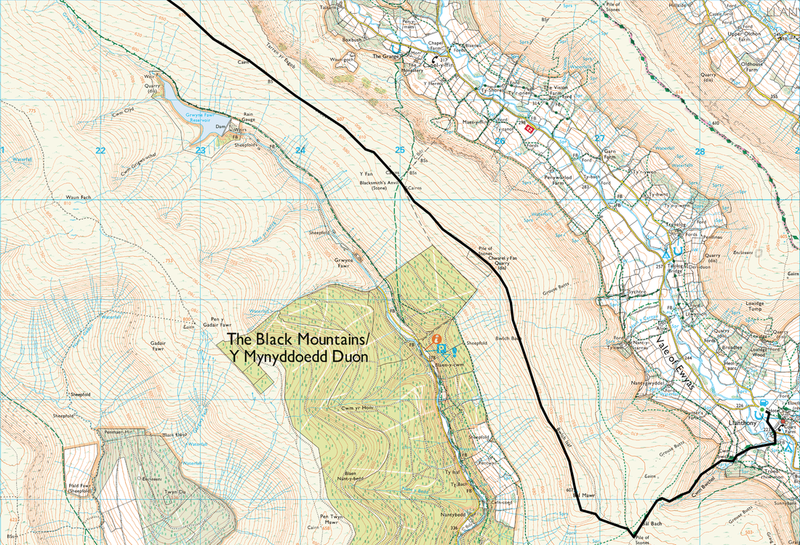 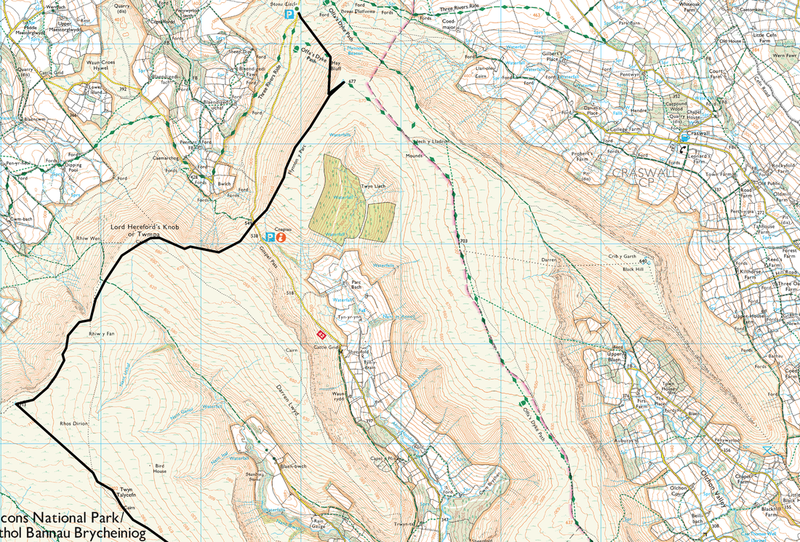 The route back to Hay on Wye was basically a reverse of the outward route but on the opposite western ridge. 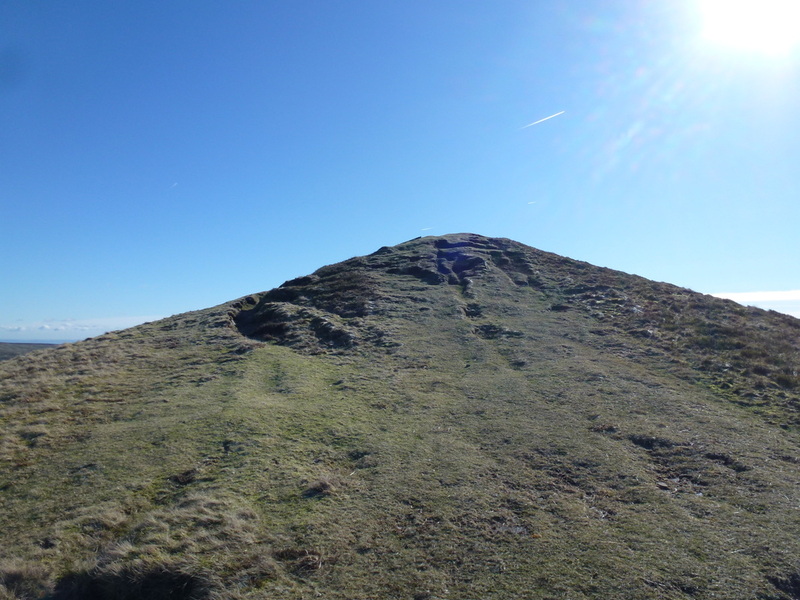 I had been up on this ridge a couple of weeks back but in totally different conditions - that time we had snow and ice to contend with. 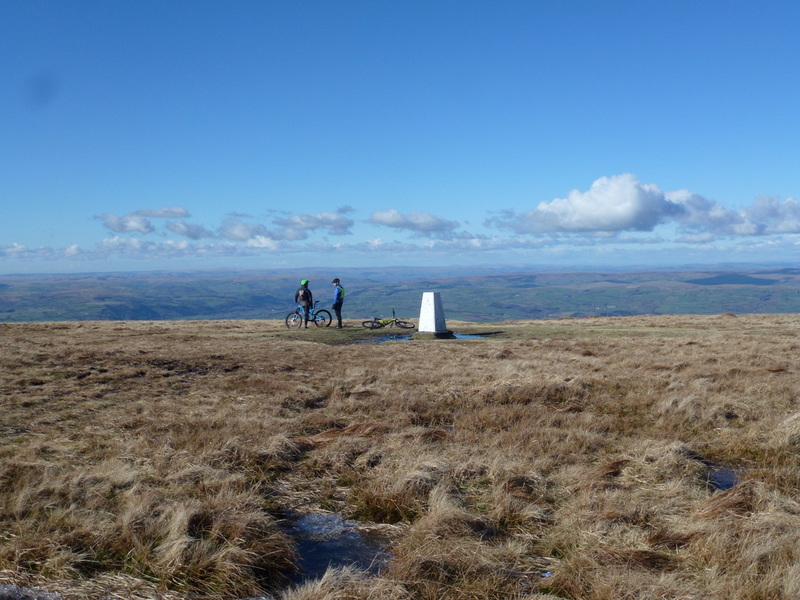 Now barely two weeks since that day it was now totally different - sunny and not a patch of snow in sight. 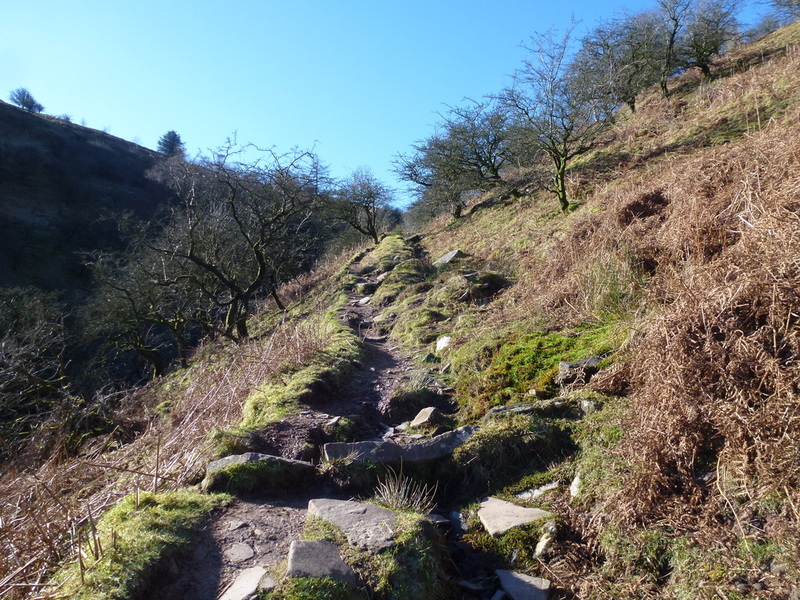 From Llanthony the route climbed steeply up the side of a re-entrant to reach a crossroad of paths at Bal Bach. 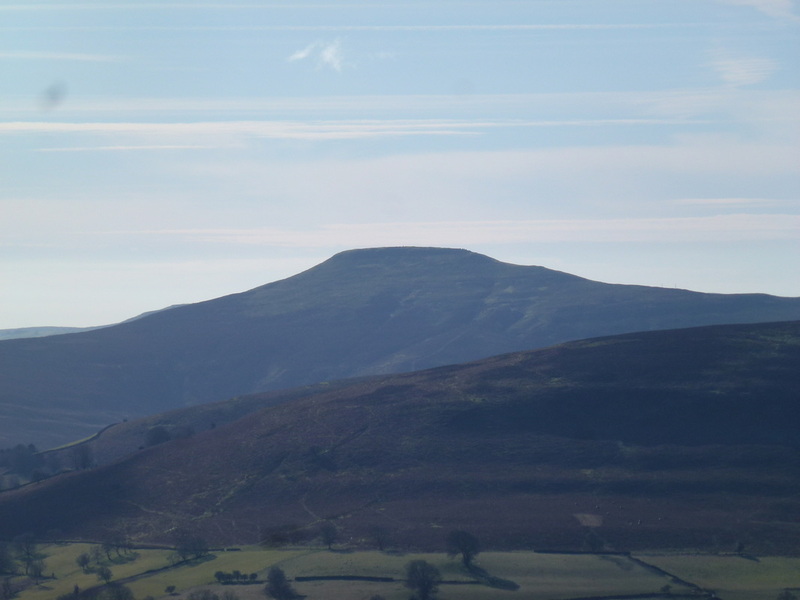 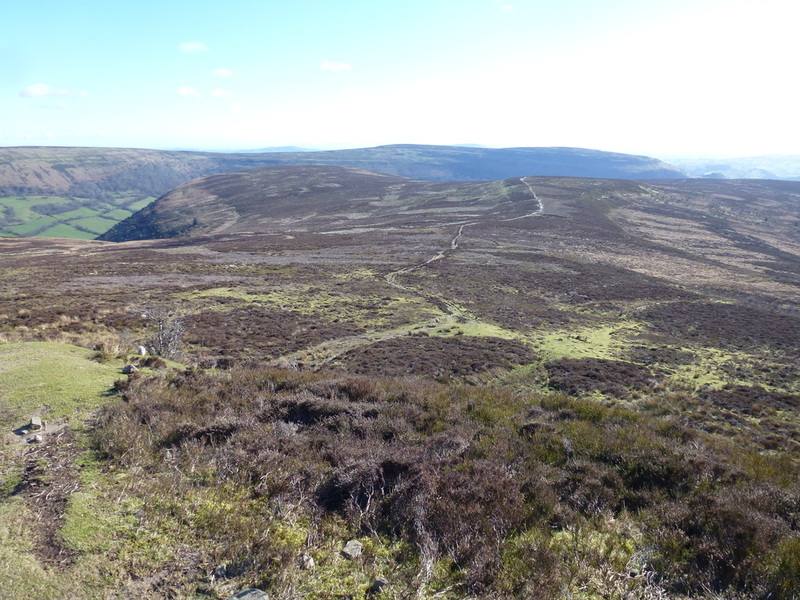 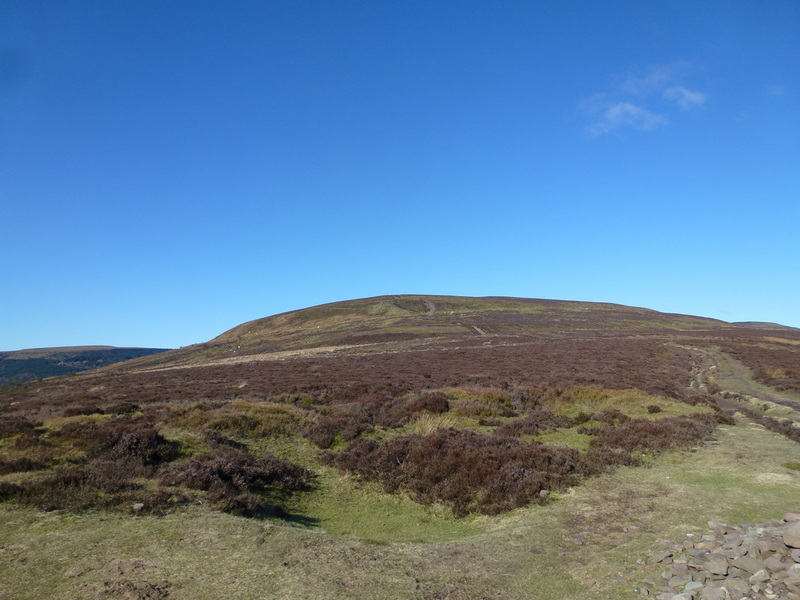 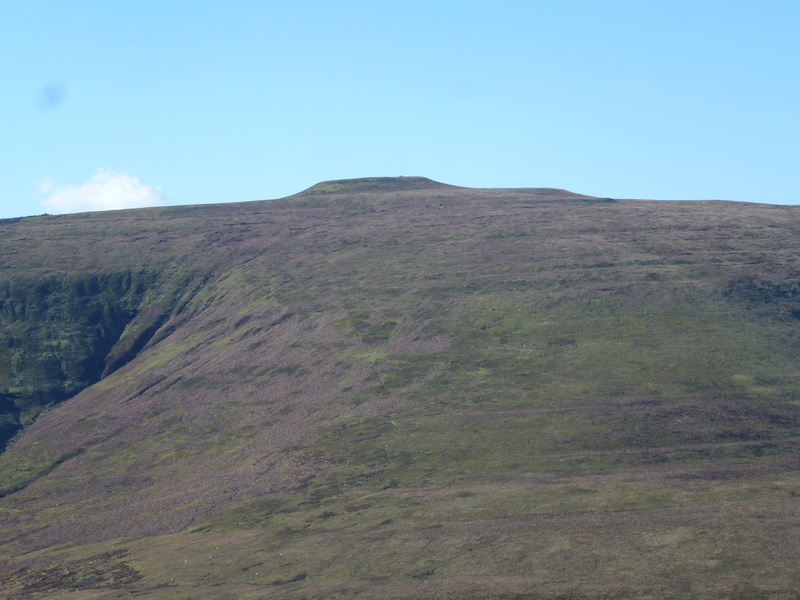 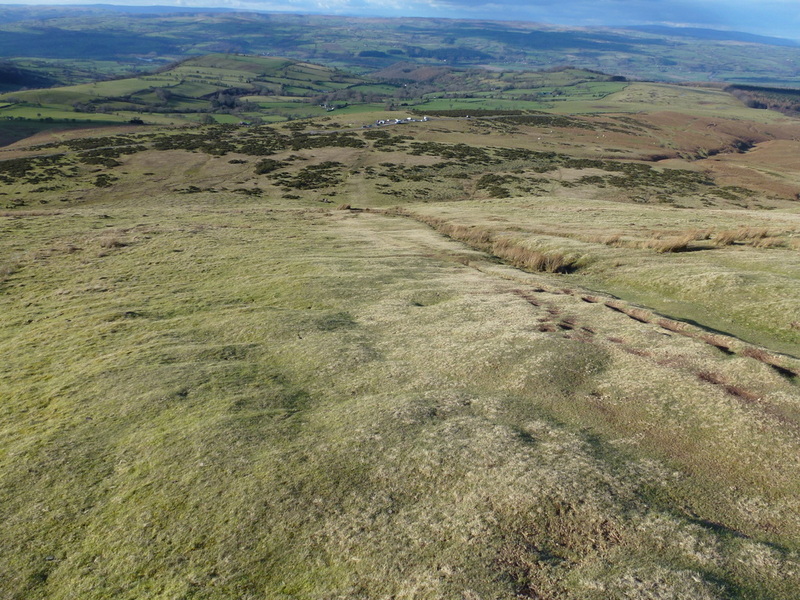 From here the steepness relented to a gentle gradient to arrive at the summit of Bal Mawr where there was a superb view back to Ysgyryd Fawr, Sugar Loaf and over to Pen y Gadair Fawr. 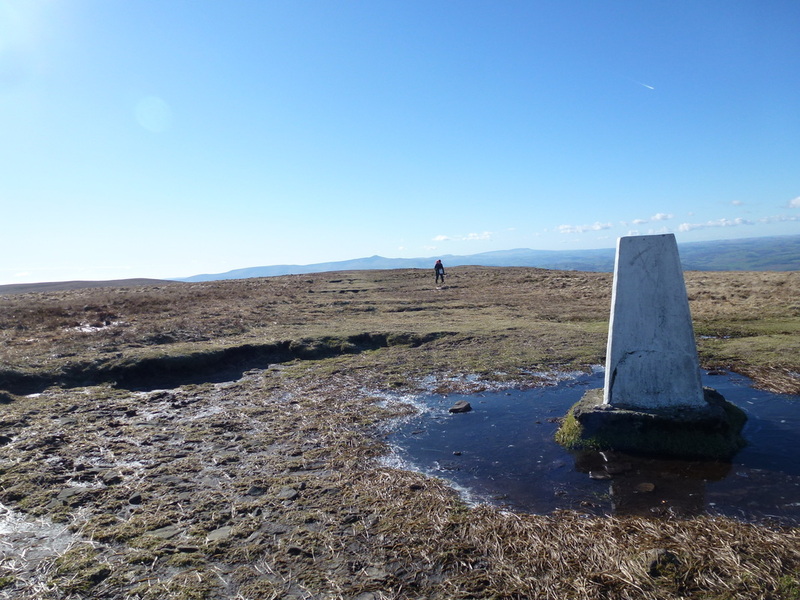 From the Trig Point the path heads gently along the ridge before a gradual incline up to the summit of Chwarel y Fan. 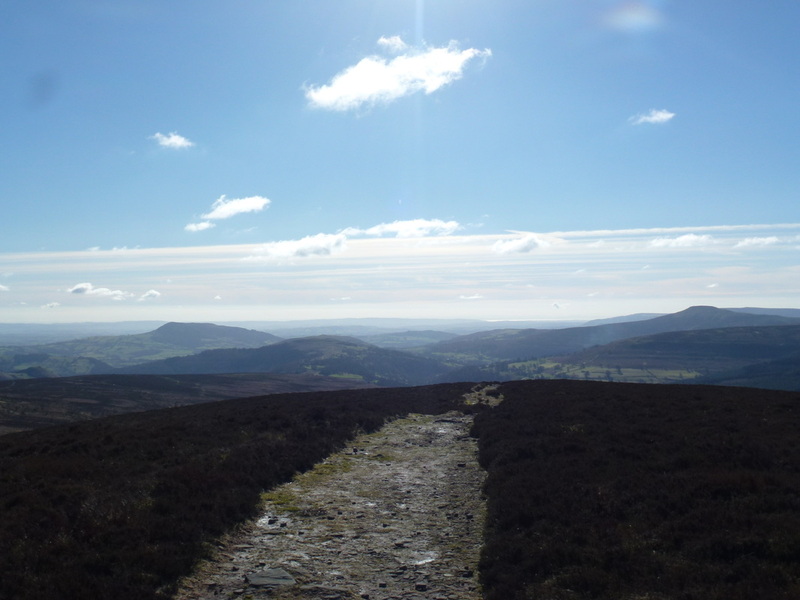 The route then dropped down to the Blacksmith's Anvil before heading ever northwards on the long stretch towards Rhos Dirion - we had arranged to meet another friend, Chips, between the Anvil & Rhos Dirion and we soon spotted him making his way over the somewhat boggy terrain to meet up with us. 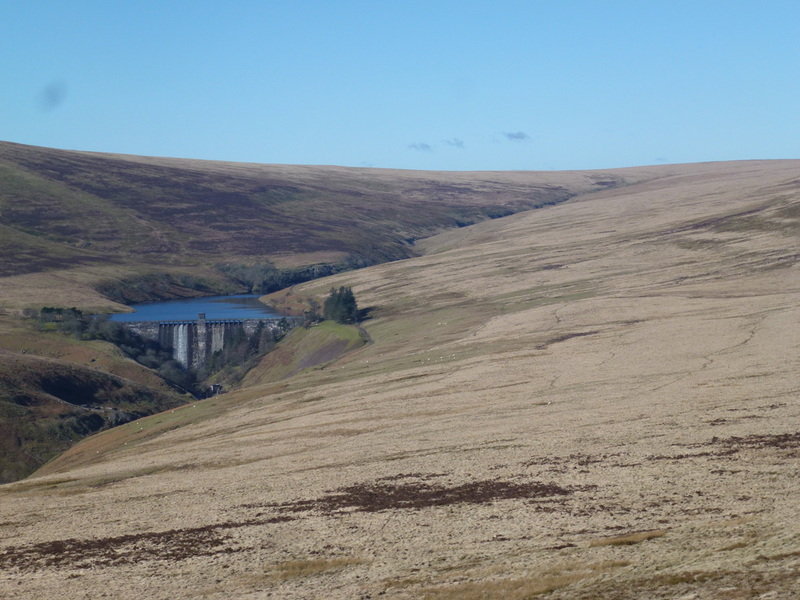 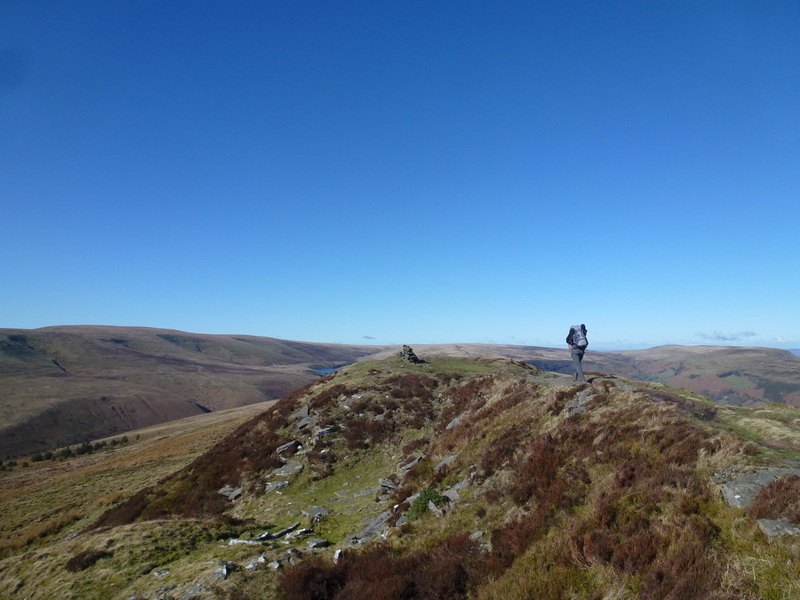 We soon arrived at Rhos Dirion, just in time to chat to a couple of lads on mountain bikes who were off back to Gwryne Fawr Reservoir. 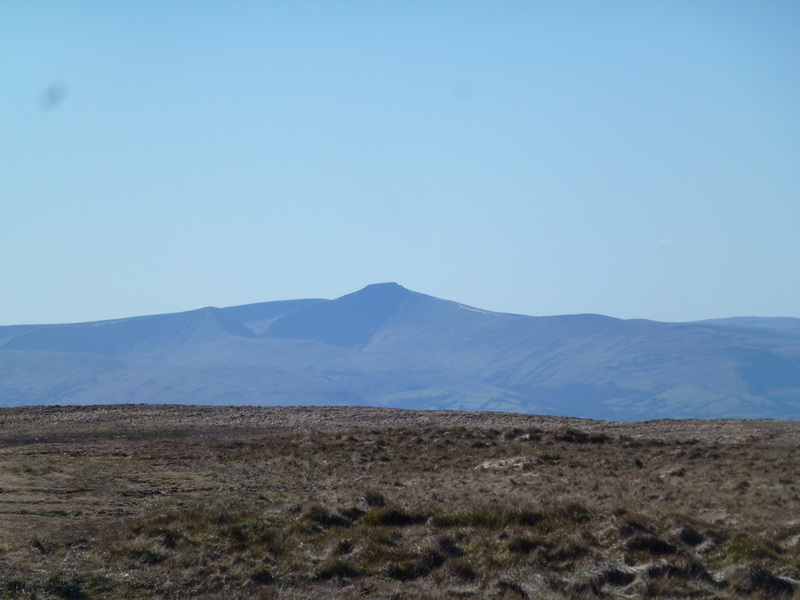 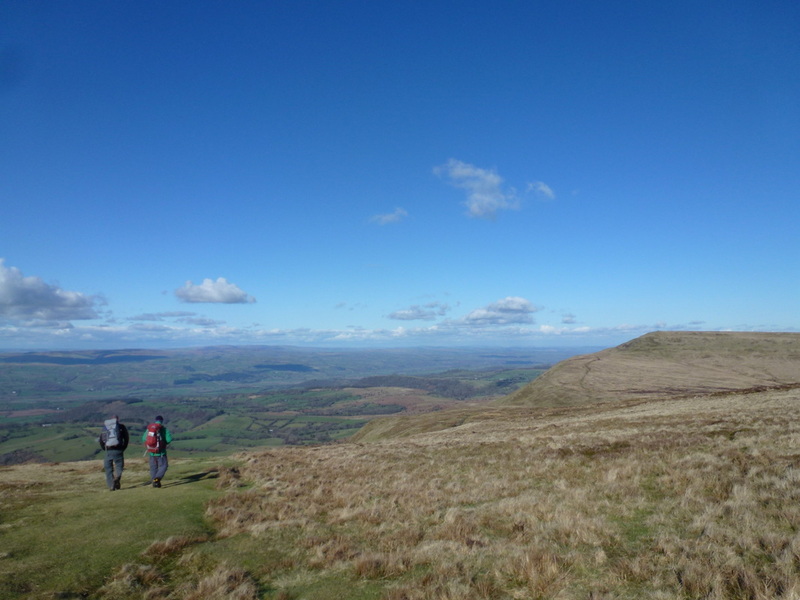 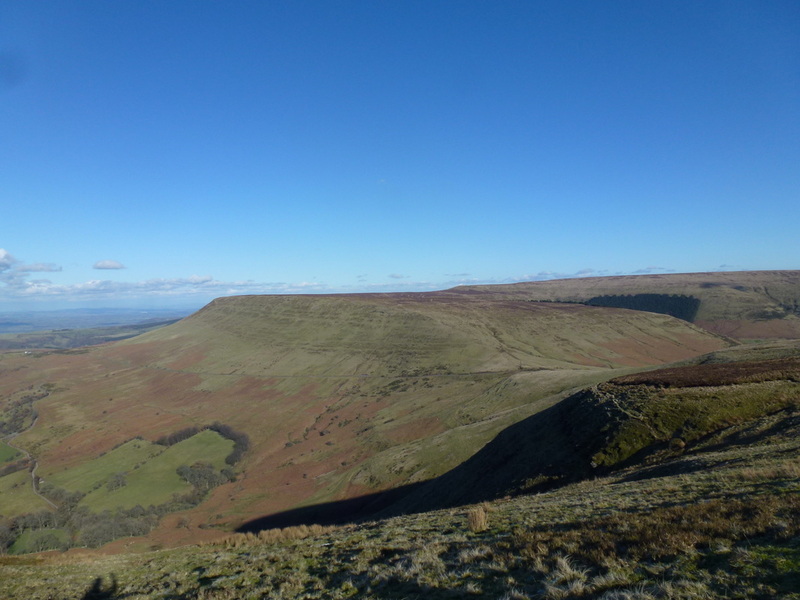 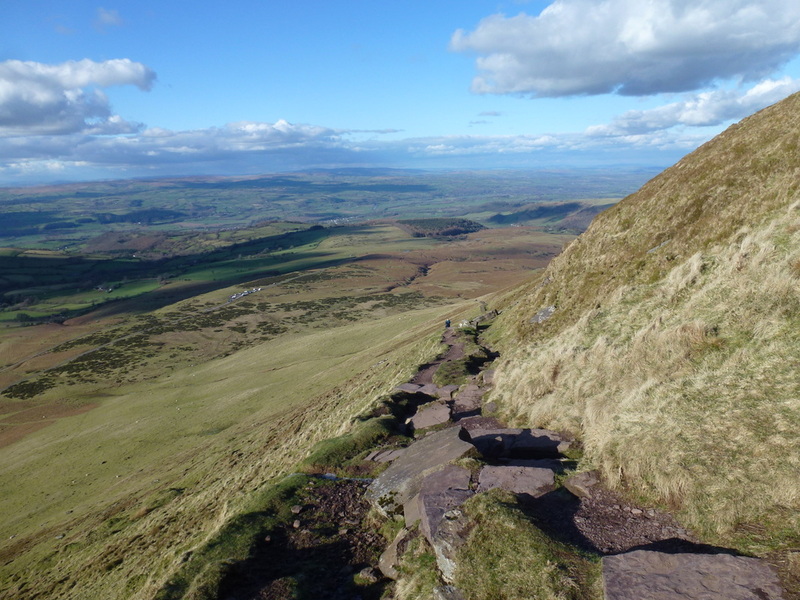 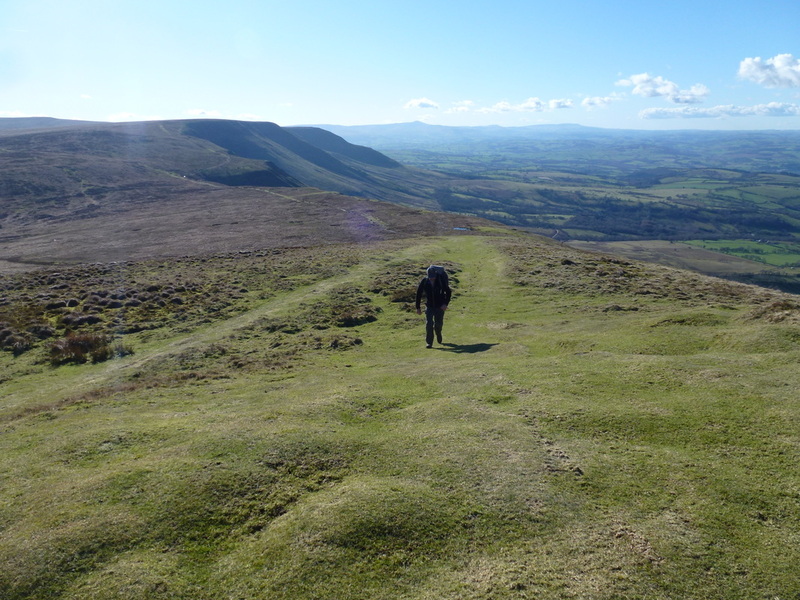 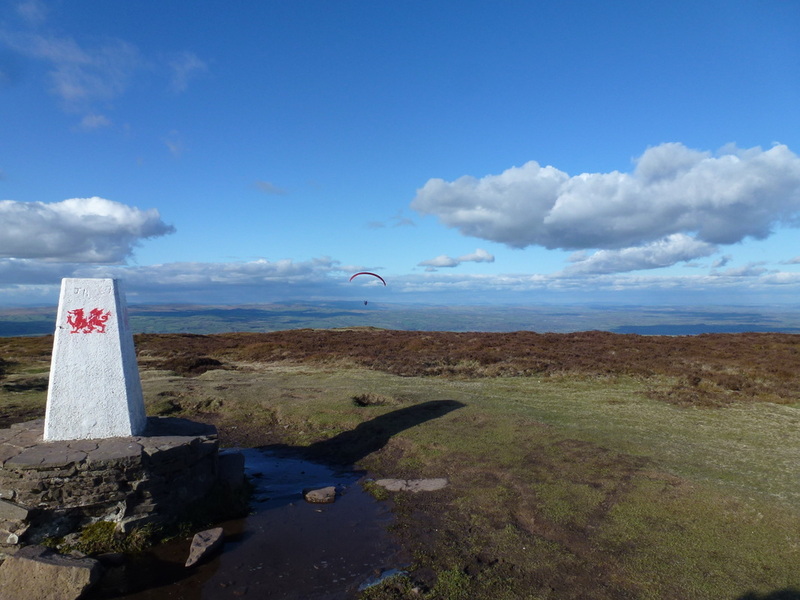 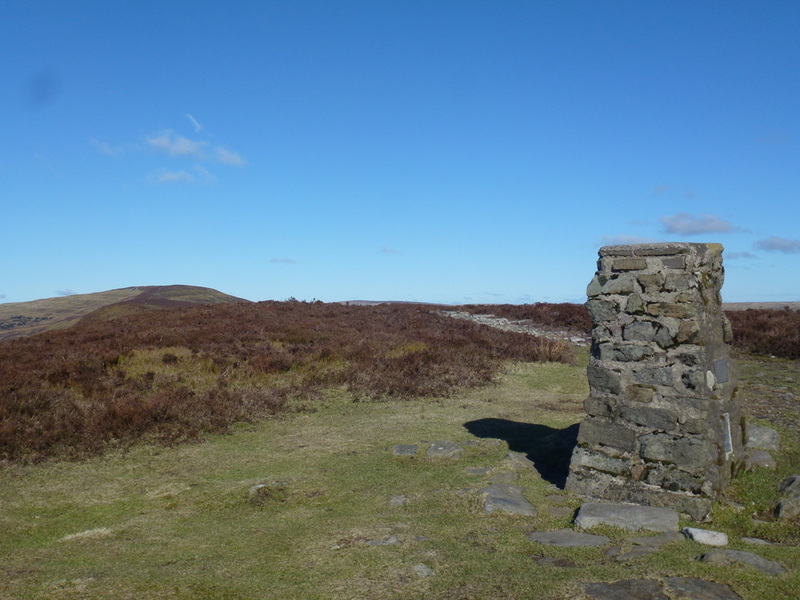 From the summit of Rhos Dirion there was a delightful undulating transit to firstly Twmpa (Lord Hereford's Knob) and then a steep drop to the Gospel Pass before a short, sharp pull back up on to the Ffynnon y Parc ridge. 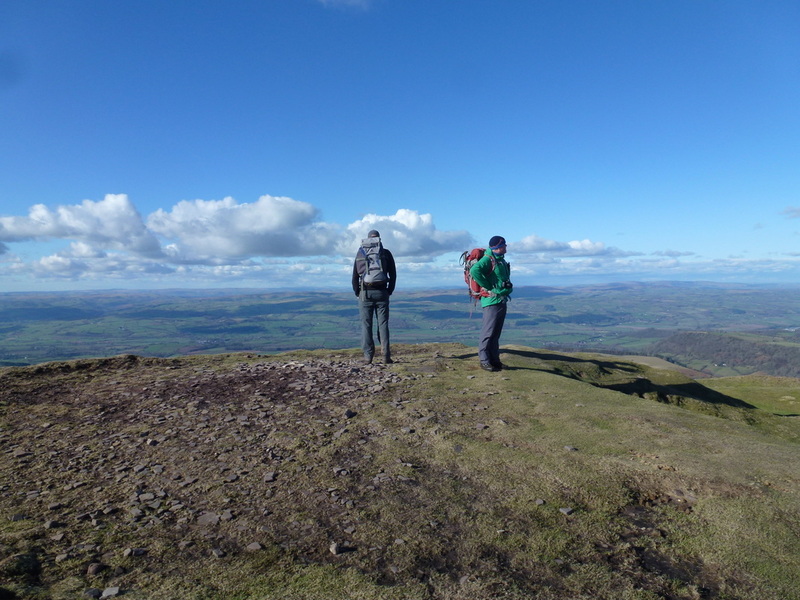 From the ridge it was a half mile walk to reach Hay Bluff's summit for the second time in two days. 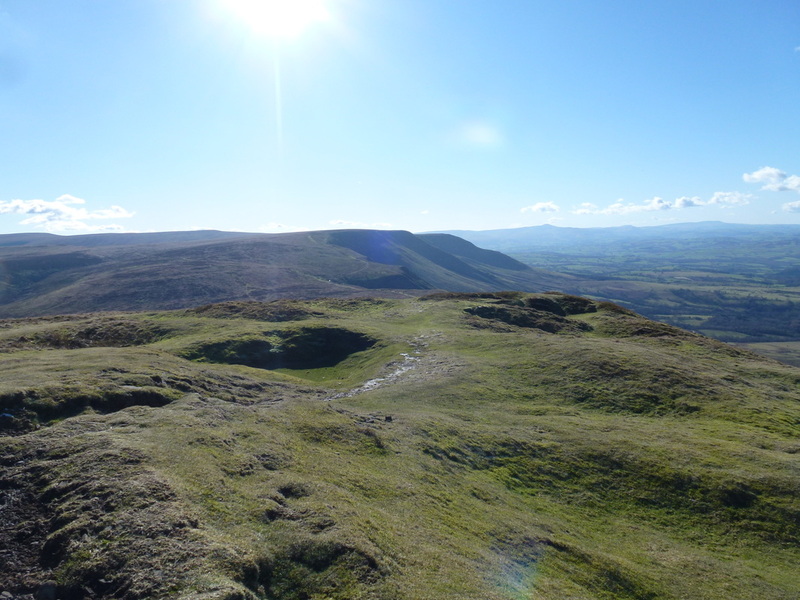 After a steep descent from Hay Bluff we arrived at the Stone Circle where Chips had left his car to end what was a fabulous two days in a wonderful part of the Brecon Beacons. 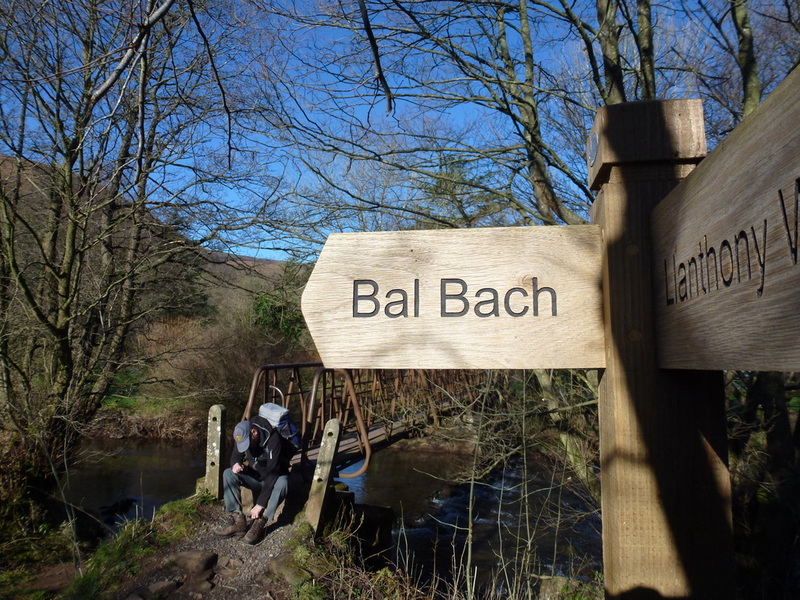 Leaving Llanthony via the footbridge to Bal Bach - the route out was via a steep re-entrant.